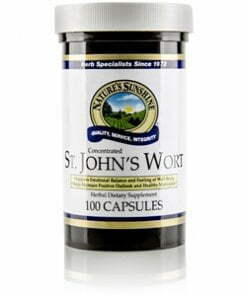 Named for St. John the Baptist of biblical fame, St. John’s Wort was used historically for its benefits to the nervous system. As a source of hypericin, a substance that nourishes the nervous system, St. John’s Wort may help in maintaining a positive mindset and a sense of well being. Nature’s Sunshine St. John’s Wort is combined with passion flower, another herb with properties that promote nervous system health. 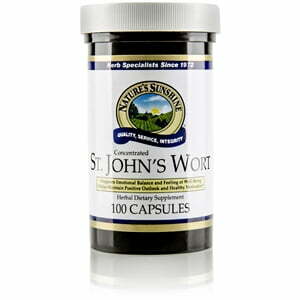 St. John’s Wort comes in 300 mg capsules standardized to 0.3 percent hypericin.